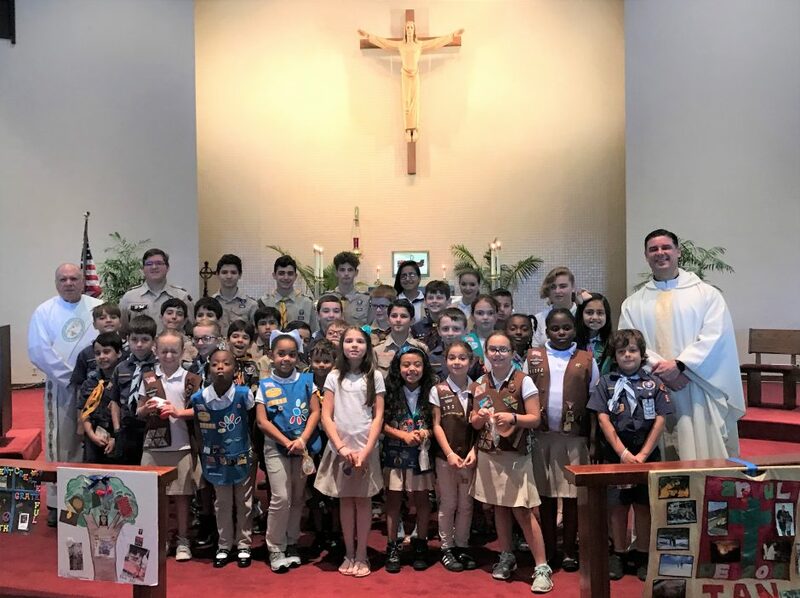 The Archdiocese of Miami Catholic Committee on Scouting invites you to join hundreds of Scouts and their counselors from the Archdiocese of Miami who deepen their faith through the religious emblems program. Who Can Earn an Emblem? 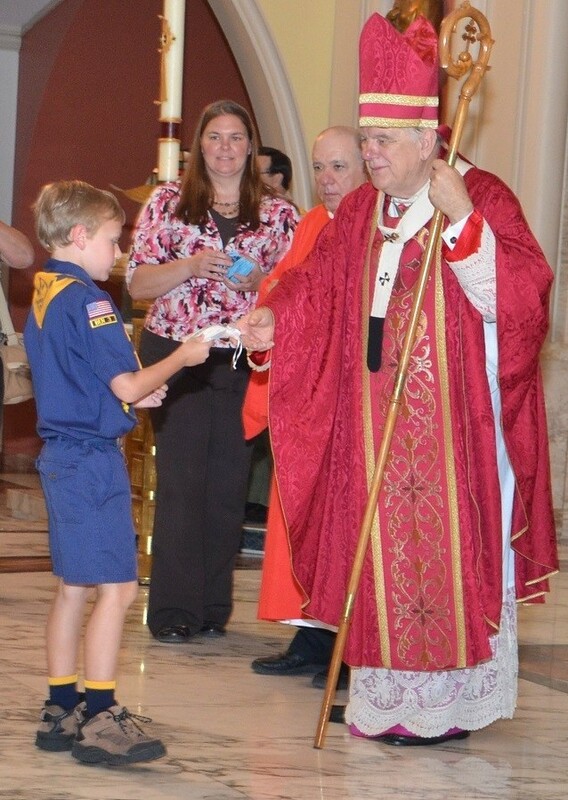 Cub Scouts, Boy Scouts, Girl Scouts, Sea Scouts and Venturers of all ages who are Roman Catholics registered and active with their parish. 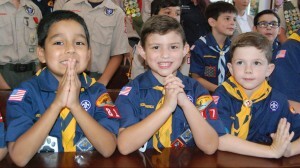 Scouts must work with a counselor certified by the Archdiocese of Miami’s Catholic Scouting Committee. An adult registered Scout may attend any of the following training dates regardless of whether they will be working with boys or girls in the Catholic Scouting program. Because adults working with children must pass all the requirements listed above each year before working with Scouts, it is encouraged that you bring as much information for the counselor training. This will allow a more efficient approval process with the Archdiocese and give you more time to work with your Scouts. If you want to work with Scouts over the summer, please attend the first session. If you attended a counselor training in the Fall of 2016, you are not required to attend training, but you are welcome to attend. Registration 9:00 a.m. to 9:30 a.m. Training 9:30 a.m. – Noon. Registration 6:30 pm to 7:00 p.m. Training 7:00 p.m. – 9pm. Scouts must work with a counselor certified by the Archdiocese of Miami’s Catholic Scouting Committee. Each counselor can work with 10 scouts, so if your group is large, recruit helpers and bring them, too! Any registered adult scout who is Catholic can be a counselor. Counselor registration is now open. Returning counselors can login to complete the counselor registration form. Counselors who are new this year should first complete the website user registration form, providing a password and basic contact information. If you have forgotten your password, follow the link to reset your password. Scouts will not be able to sign up to work with a counselor into the counselor is fully approved and trained. Scouts and Parents: Please review the Fees and Requirements and and gather the required information to complete the form. Registration fees can be paid by credit card, or with a PayPal account. Families who have previously registered a scout through this website can login to complete the scout registration form. Counselors who are new this year should first complete the website user registration form, providing a password and basic contact information. Adult Recognition: These awards are through nominations. Nominations for consideration by the Committee are due February 1 to recognize outstanding adult participants in our Catholic Scouting Program. Download the Adult Recognition Criteria and Nomination Form.